In 1973, the Polaroid Corporation gave Samaras an SX-70 – the then newly invented camera, which instantly produced unique, 3 1/8 x 3 1/16-inch, color images framed with a wide white tab on the bottom. With his new camera, Samaras continued to utilize the front of camera effects he had refined in his previous AutoPolaroid series: double-exposures, superimposed imagery, reflections, dramatic lighting, and elaborate sets and props. Additionally, Samaras quickly discovered the Polaroid SX-70 color print emulsion, which was protected under a layer of Mylar, remained wet and highly malleable for several minutes. 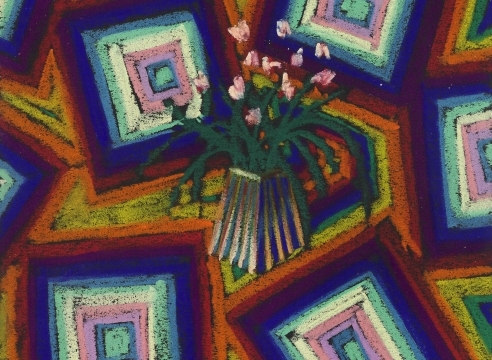 By interrupting the film’s development through variety of methods and techniques, Samaras was able to manipulate and radically transform his images within the emulsion, blurring the lines between photography, drawing, and painting. A fully illustrated catalogue will be published in conjunction with the show and will include a newly commissioned essay by independent curator and writer, Marvin Heiferman. 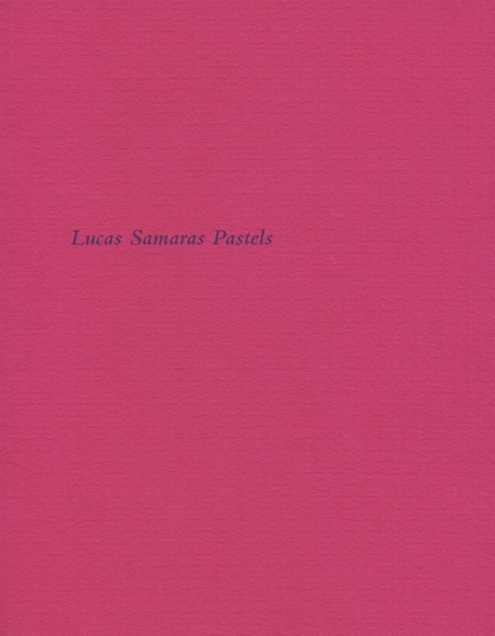 Lucas Samaras (b. 1936, Kastoria, Macedonia, Greece) graduated from Rutgers University in New Brunswick, New Jersey in 1959 with a degree in Art and later studied at Columbia University in New York. His works can be found in private and public collections worldwide, including The Art Institute of Chicago; the High Museum of Art, Atlanta; the Hirshhorn Museum and Sculpture Garden, Washington, D.C.; the Los Angeles County Museum of Art; The Metropolitan Museum of Art, New York; the Museum of Modern Art, New York; the National Gallery of Art, Washington, D.C.; the San Francisco Museum of Modern Art; the Solomon R. Guggenheim Museum, New York; the Tate Modern, London; the Walker Art Center, Minneapolis; and the Whitney Museum of American Art, New York. 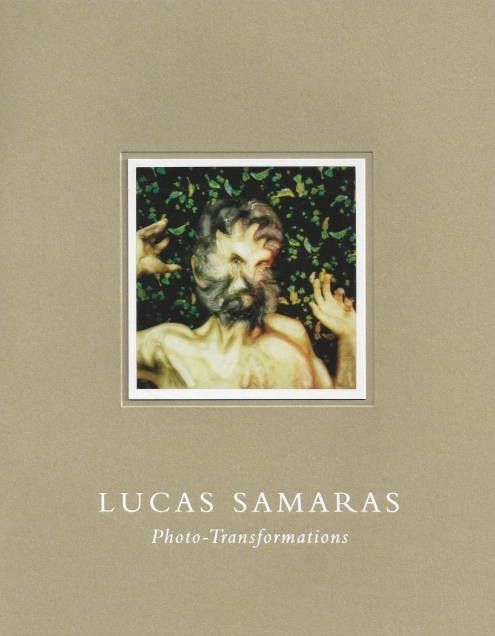 Samaras has also been the subject of more than one-hundred solo exhibitions and seven major career retrospectives, including Unrepentant Ego: The Self-Portraits of Lucas Samaras at the Whitney Museum of American Art, New York, in 2004. In 2009, Samaras represented Greece at the Venice Biennale with an exhibition that spanned four decades of his artistic practice. Recent exhibitions include: “Offerings from a Restless Soul” at The Metropolitan Museum of Art, New York (2014), “Reflections” at Albright-Knox Art Gallery, Buffalo, NY (2014-15), and “Dreams in Dust: The Pastels of Lucas Samaras” at The Morgan Library & Museum, New York (2016). This is Samaras’s third exhibition with Craig F. Starr Gallery. Craig F. Starr Gallery is located at 5 East 73rd Street between Fifth and Madison Avenues. Summer gallery hours are Monday through Saturday in June and Monday through Friday in July and August from 11am-5pm, and by appointment. For general information please view the gallery’s website at www.craigstarr.com. Kuspit, Donald. 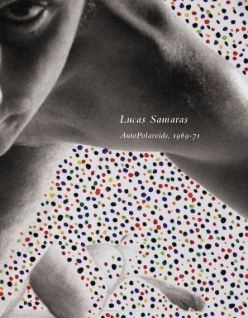 “The Aesthetics of Trauma,” Unrepentant Ego: The Self-Portraits of Lucas Samaras. New York: Whitney Museum of American Art, 2003. Samaras, Lucas, and Robert Doty. Lucas Samaras. New York: Whitney Museum of American Art, 1972. Heiferman, Marvin. “ME, MYSELF, AND I: Lucas Samaras’s Photo-Transformations,” Lucas Samaras: Photo-Transformations. New York: Craig F. Starr Gallery, 2018.